Look no further, the best deals are right here. Live aboard trips we think you'll love. Indo Aggressor - 22 Apr 2019 - from €3,310.00 - Forgotten Islands - Kai Islands and Tanimbar Islands (Saumlaki - Maumere) - $1600 OFF! Rates includes discount. King Snefro 5 - 10 Mar 2019 - from €299.00 - Mini Safari: Ras Mohamed - Thistlegorm - € 50 OFF! Rate includes discount. 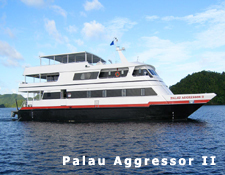 Palau Aggressor II - 16 Jun 2019 - from €2,061.00 - Palau Archipelago - $1200 OFF! Rates includes discount. 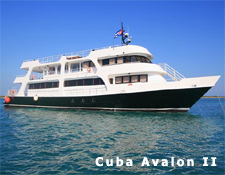 Roatan Aggressor - 22 Jun 2019 - from €2,379.00 - Roatan, Utila & Cayo Cochinos - $700 OFF! Rates includes discount. Photography Cruise. 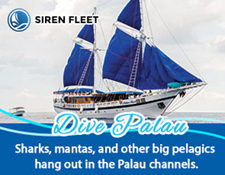 Rock Islands Aggressor - 19 May 2019 - from €2,061.00 - Palau Archipelago - $1200 OFF! Rates includes discount. Snefro Target - 14 Apr 2019 - from €799.00 - Sinai Classic (Sharm El Sheikh departure) - €100 OFF! Rates includes discount. 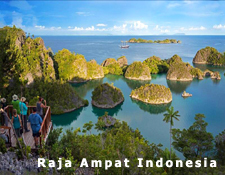 Empress II - 10 Apr 2019 - from €1,620.00 - Raja Ampat & Misool (The best in 8 days) - Last Minute Special! Golden Dolphin - 25 Apr 2019 - from €1,026.00 - St. Johns (PG - PG) - Boot Special- Plus free Nitrox. Valid until May 2, 2019. Golden Dolphin II - 12 Sep 2019 - from €1,178.00 - Brother Islands - Daedalus - Elphinstone (PG - PG) - Boot Special- Plus free Nitrox. Valid until May 2, 2019. Golden Dolphin III - 15 Aug 2019 - from €1,112.00 - St. Johns (PG - PG) - Boot Special- Plus free Nitrox. Valid until May 2, 2019. Maldives Aggressor II - 26 May 2019 - from €1,848.00 - Best of Maldives - Special Offer! 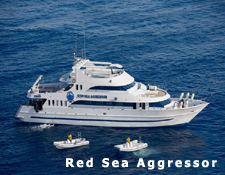 Red Sea Aggressor - 16 Nov 2019 - from €1,188.00 - Southern Egyptian Red Sea and St. Johns (8D/7N) - $1049 OFF! Rates includes discount. Spirit of Freedom - 25 Mar 2019 - from €2,460.00 - Cod Hole, Ribbon Reefs, & Coral Sea Adventure - AU$500 OFF! Rates include discount. True North - 31 Mar 2019 - from €9,559.00 - Kimberley Waterfalls: Broome – Wyndham (Non-Diving Cruise) - Last Minute Special! Emperor Voyager - 06 Jul 2019 - from €1,259.00 - Best of Maldives 7 Nights - €220 OFF for all Cabin types - Price includes discount! Galatea - 16 Mar 2019 - from €2,340.00 - Seychelles Explorer Cruise 2019 - Last Minute Special! 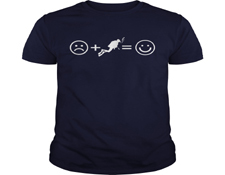 Save up to 15% OFF plus 8 dives! Rates include discount. 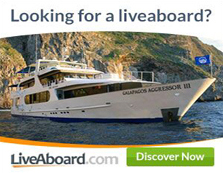 Okeanos Aggressor II - 13 Apr 2019 - from €3,099.00 - Cocos Exploration - Save up to $2299 - Rates includes discount. Valid until March 7, 2019. Red Sea Aggressor - 30 Mar 2019 - from €1,107.00 - Brothers, Daedalus, Elphinstone (8D/7N) - $1149 OFF! Rates includes discount.